May her words bless and encourage us all as we continue on our journey of faith, learning what it really means to follow our beloved Master. John, I just had a bit of an epiphany that I wanted to share with you…it began with me asking myself a question and unfolded so quickly after that. While walking and praying, I was asking G-d what He really meant by “Follow Me.” I understand the basic concepts, and even what it looks like in the Word, but needed to know what it meant TO ME. One of my frequently used sayings is from a vision I had been given several years ago. The saying is, “Burning Flesh stinks.” In the vision, I was crawling onto the altar (a living sacrifice) and as I would get close, the fire would be so painful and the smell of burning flesh was so strong that I would quickly jump off the altar. It was a place of pain and confusion to me. How could this be pleasing to the L-rd? As I was unpacking everything that I was still processing from my Ultimate Journey Turbo classes, it occurred to me. Something so monumental, it has created one of the largest paradigm shifts in me since my salvation. When the lamb was placed on the altar, it didn’t feel the flames because the actual sacrifice occurred before it even got near the altar. In the unpacking of this, I realized that to present myself as a living sacrifice begins when I hear His voice. His sheep hear His voice. When a shepherd would be in the field, scattered as His sheep are, they know His voice. When He says, “Follow Me,” it is at that point the sacrifice process begins. Why? Because at that point I am no longer listening to what I want, but am being obedient to what He is calling me to do. For Passover, the lamb was brought into the home for several days, where it was loved and treated as a special part of the family. It had always seemed so cruel to me that after becoming attached to the lamb, the family would then slaughter it. I was always seeing it from the family’s point of view, not that of the lamb. The lamb was loved. The lamb was cherished. The lamb had a purpose, but in that purpose, there was a time that the lamb was shown that it was special. How amazing is that? Then when the High Priest would sacrifice the lamb, there was a time of intimacy with the lamb. The priest hugs the lamb, speaking gently to it as the slice is made. The lamb feels no pain. There is no panic or confusion. There aren’t any screams of agony or the sounds of bleating during a death throe. No, the lamb looks into the gentle eyes of the Priest, and the last sight is love and the last feeling is a hug. 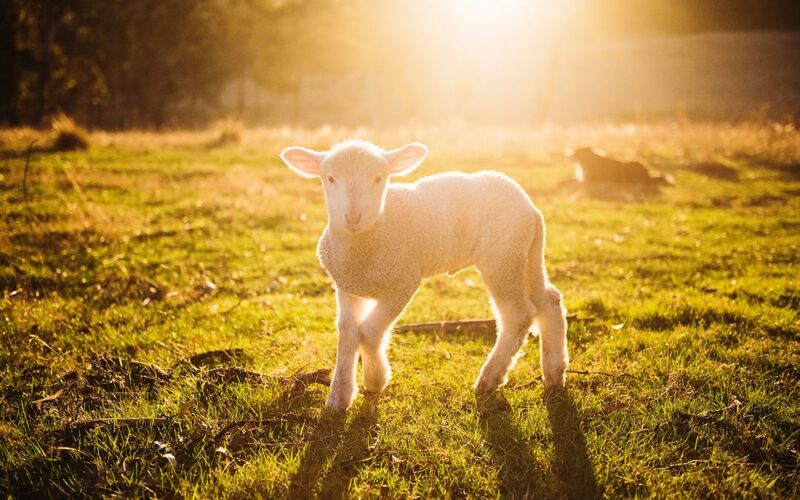 When the lamb is then cut into pieces, each piece representing a special place in G-d’s heart; the lamb feels nothing, because the sacrifice took place with “Follow Me,” not at the altar. This is such an amazing paradox and yet has allowed me to view so many things with a different perception. To me, the “Follow Me” of Yeshua has always meant sacrifice. I was in a place, living in the mental slaughterhouse of what sacrifice has always represented. The packed atmosphere, the tension and fear in the air. The unknown and complete stranger dealing the death blow. The constant sounds of pain and squealing and the thickness of fear. What a difference being called to the sacrifice instead of being led to the slaughter mindset that it had been to me. I am so thankful that even though the “Follow Me” looks so very different to everyone, it is when the sacrifice is laid onto the altar that it becomes something that offers what is pleasing to the L-rd. Only in that place of being dead to myself, when I don’t feel the flames or smell the burning, that it is what is pleasing to Him and He can then use it as He desires. It is no longer about striving or straining to follow because when I’m on the altar, He can do whatever He wants with me. I’ll be honest, we both know I’m not there yet. I’ve But now the door to my stall is unlocked and I’m beginning to walk out so that I can follow Him. It is sometimes hard to hear the still, small voice in the midst of the confusion and sounds of pain I have been surrounded by my whole life, but I am so looking forward to this Kingdom Adventure. Thanks for helping point the way on what to listen for.